The Allied Shinobi Forces are on standby, ready to confront Madara's army of reanimated shinobi and 100,000 White Zetsu. But distrust still exists among the Allied Shinobi Forces, who were once sworn enemies until recently. Kankuro's commando unit enters enemy territory to set up a stronghold for the Allied Shinobi Forces. They are immediately ambushed by the Akatsuki's own commando unit comprised of the reanimated Deidara and Sasori. The Allied Shinobi Forces' commando unit engages with the Akatsuki in the first wave of battle. Under the guidance of Killer Bee, Naruto enters the final stage of training to master the Tailed Beast Bomb, a Jinchuriki's most powerful technique. The commando unit is in hot water as they engage the reanimated Kekkei Genkai shinobi, which include Zabuza Momochi and Haku. Luckily, Kakashi and his unit arrive in time to assist them. 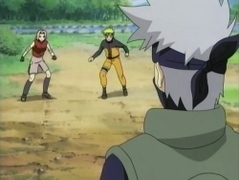 Kakashi and his unit devise a strategy to take on the Kekkei Genkai shinobi, but it's foiled by Kabuto, who uses the Reanimation Jutsu to summon the most powerful members of the Seven Ninja Swordsmen of the Mist. The Akatsuki dispatch an army of powerful reanimated shinobi and White Zetsu across the war zone, causing chaos within the Allied Shinobi Forces' chain of command. As Darui and his First Company engage an army of White Zetsu, the remaining forces must deal with reanimated shinobi. Atsui, Samui, and Darui face off against Kinkaku and Ginkaku, the legendary brothers from the Hidden Cloud, feared even by the Raikage. Darui manages to seal away Ginkaku. Fueled by the rage of losing his brother, Kinkaku transforms into a monster that resembles a jinchuriki's Tailed Beast State. Kankuro's Commando Unit is cornered by Hanzo's poison attack. Fortunately, Mifune and his Fifth Company arrive in time to provide assistance. The Ino-Shika-Cho trio is ordered by Shikaku to take down the reanimated Asuma. Remembering Asuma's final words, Shikamaru and Ino are determined to stop their former teacher. Choji is unable to attack Asuma and loses his will to fight. Ino and Shikamaru try to snap Choji out of his paralysis. While training in Chakra Mode, Naruto senses the presence of the Nine Tails' chakra seeping from Kinkaku outside. Naruto and Killer Bee rush to the battlefield when Nine Tails suddenly speaks to Naruto inside his mind. 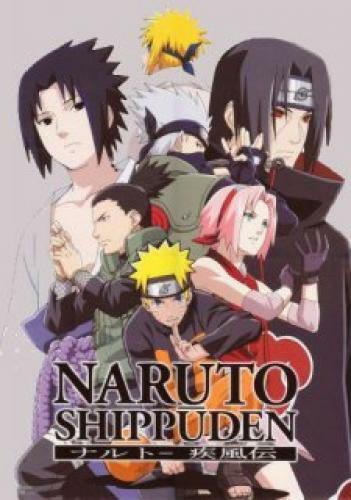 Kiba, Shino, and Hinata are sent to investigate an area where the Akatsuki are supposedly getting through. There, the three are ambushed by a White Zetsu and get separated. 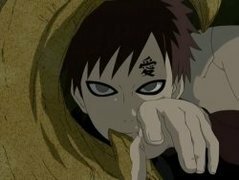 Back at the Fifth Company's camp, Kurotsuchi attempts to negotiate with the captive Deidara to find out Kabuto's location, but is quickly rebuffed. 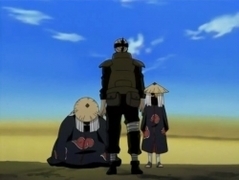 With many of the shinobi away serving in the Fourth Great Ninja War, the Leaf Village is left with just the mothers and children to protect it. Konohamaru is eager to guard the village but is quickly discouraged by the adults who tell him to just go about his day as usual. A group of Allied Shinobi, including Omoi and Maki of the Sand, battle against several reanimated enemies. Maki recognizes one of them as Pakura, her former master who was a Sand Village hero. Still coping with the loss of her loved ones, Tsunade indulges in gambling and drinking. Around the same time, the Raikage Ay and his men are on a mission to steal a scroll from a certain village. 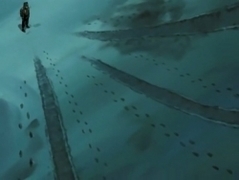 Kakashi races to the scene where the Seven Ninja Swordsmen Kushimaru Kuriarare and Jinpachi Munashi were last sighted. Enraged by the carnage they've left behind, Kakashi teams up with Might Guy. Omoi's unit is attacked by Ameyuri Ringo of the Seven Ninja Swordsmen and loses one of Omoi's men. Omoi attempts to avenge his comrade, but Nurui orders everyone to retreat. Naruto and his team are assigned a mission to identify and hunt down the perpetrator of the Tonika Village massacre. It's been a while since Naruto has had a mission, and he's pumped to take it on. 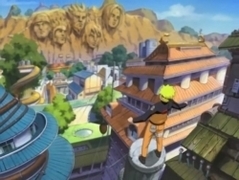 While investigating the village near Tonika, Kabuto confronts Naruto. 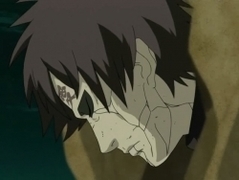 An epic battle erupts as Kabuto uses the forbidden Reanimation Jutsu against Naruto. In the meantime, Dokku and the five survivors lie low at the village. Naruto and Sakura decide to stay at Shiseru's house overnight to help watch over the survivors. Although the children cry and miss their deceased parents, Dokku and Shiseru try hard to bring everyone together as a new family. A clone possessing the Nine Tails' chakra emerges from Naruto's body. Seeking more power, the clone goes on a rampage, destroying everything in its path. 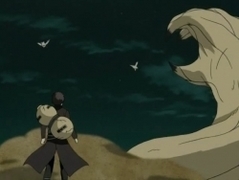 After their defeat by the Nine Tails' clone, Naruto and Dokku are taken captive by Kabuto. The legendary Ama no Hoko imbues the Nine Tails' clone with enough power to destroy the world. Naruto is overcome by its immense power and lies unconscious.